iPad Pro comes with all-day battery. Apple continued its new ad campaign series for the iPad Pro today by publishing some new ads that showcase how the tablet is the perfect laptop replacements. 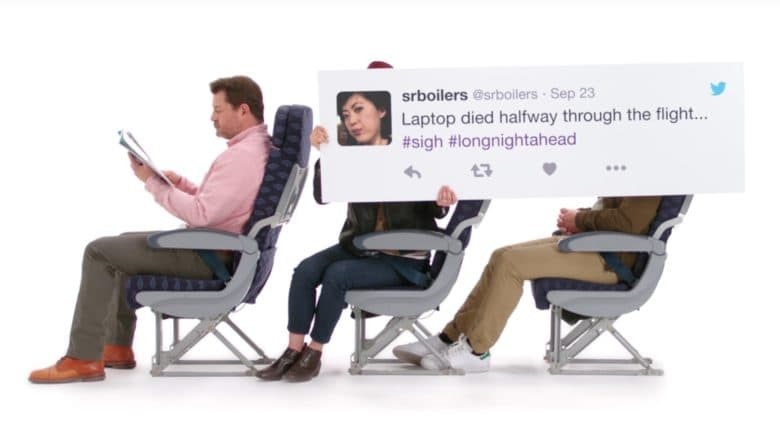 The three new ads are aimed at students and frequent travelers by highlighting the iPad Pro’s lightness, ability to carry textbooks and notes on the same screen, as well as its all day battery life that can keep you entertained on a 12 hour flight. Like the previous set of iPad Pro ads, the quirky new videos feature tweets from real people with real problems.